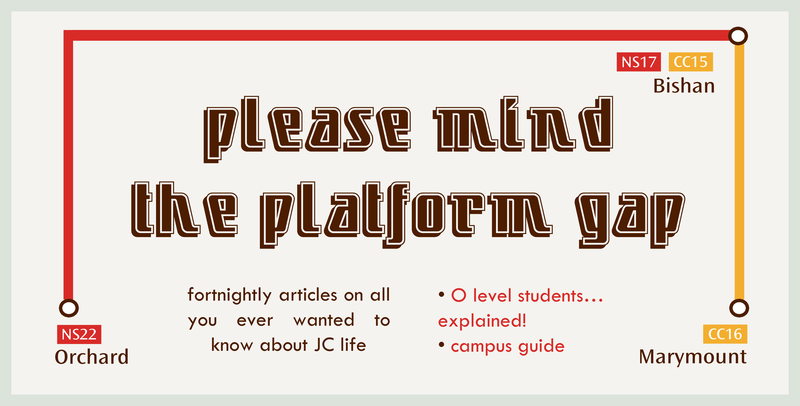 Please Mind the Platform Gap is a fortnightly column aimed at preparing Year 4 RI and RGS students for the challenges of JC life. Written by Year 5s from Raffles Press who have “been there, done that”, each piece covers a different aspect of life “on the other side”. This week, we introduce readers to the lecture-tutorial system. 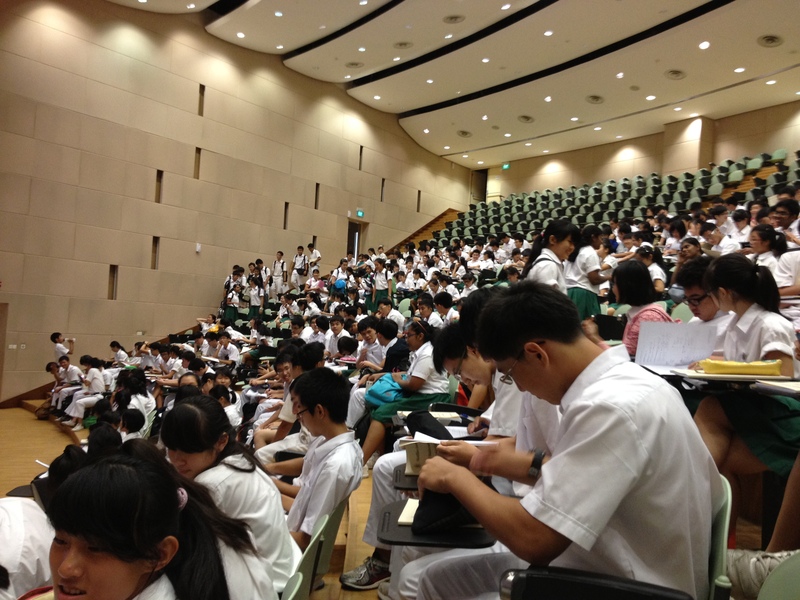 One of the most drastic and intimidating changes in JC is the transition from classroom learning to the lecture-tutorial system. Unlike in Year 1-4, where you would have been handheld by smiling and amiable teachers alongside, say, 30 familiar faces, you will find yourself spending most of your curriculum time in a freezing Lecture Theatre, packed with hundreds of other strangers in green skirts and white trousers [thankfully, though, you will still be seated in your classes]. These lectures will be interspersed with tutorials – sessions where you meet up in smaller groups to go over homework questions or discuss the topics in greater detail. What are the implications of this change? For a start, bid farewell to interactive discussions or hands-on, experiential activities during lectures. The bulk of your time will be devoted to furiously taking down notes as your lecturer whizzes through the content at top speed. Do not expect your teachers to hand you a thick pile of notes – make sure you buy them in advance from the photocopying shop, or you will be sitting clueless for 50 minutes. Annoying smart-aleck questions will be a thing of the past: you cannot possibly expect lecturers to address individual questions or adjust to your learning pace. This also means a quantum leap in the amount of freedom you enjoy. With so many students to look after, lecturers are not in the business of stopping you if you fall asleep, use your handphones, talk to your friends, or not turn up altogether. But use and abuse this privilege at your own peril. After all, you should be ready to take charge of your own life at 17! While tutorials afford some degree of continuity, they are different in one fundamental way. Whereas secondary school teachers assign you work after the lesson, you are expected to have completed the questions before the tutorial! Seen in this light, tutorials are a means of reinforcing examination skills to supplement the transfer of knowledge in lectures. Love it or hate it, the lecture-tutorial system is here to stay. Ostensibly, it helps to prepare students for university. In fact, it was a key reason for the Ministry of Education’s (MOE) insistence on splitting RI’s Pre-University classes to form RJC in 1982 – the lecture-tutorial system in JCs was seen as a superior model for delivering the A-Level syllabus. And of course, it reduces the disparities between what different teachers say and ensures everyone is on par. How, then, can one successfully navigate the hopscotch of lectures and tutorials? Reading your notes in advance cannot possibly hurt. A surreptitious sweet can work wonders in keeping you awake in a half-lit hall. Rather than copying down everything a lecturer says word-for-word, it might be more helpful to sit back and see the big picture. Questions are best left for face-to-face consultations, beside the area outside the Staffroom known affectionately as the Wishing Well. 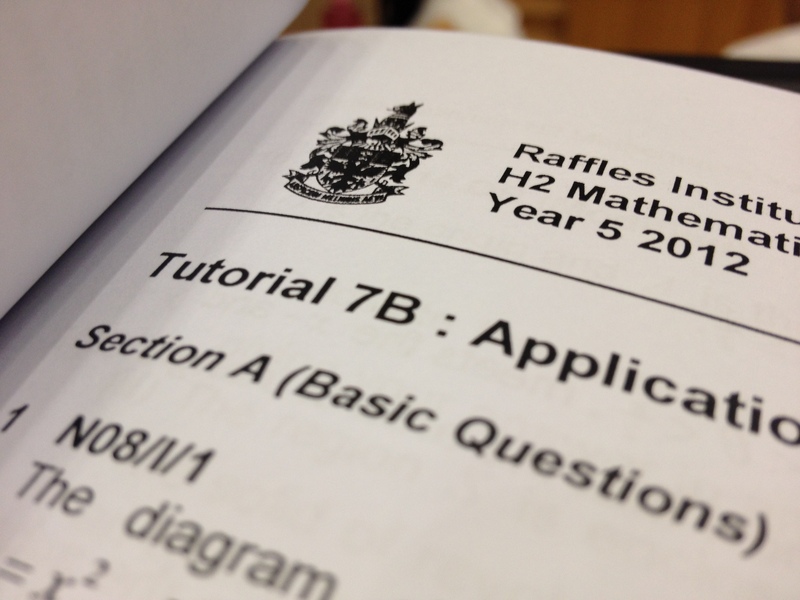 Bearing in mind that RI compresses the A-Level curriculum into 80% of MOE’s recommended teaching hours, the lecture-tutorial system is one sure sign that learning cannot end outside the school gate. Ultimately, the lecture-tutorial system is just a euphemism for saying: expect a far more demanding workload in the 2 years ahead. But as long as you are independent and abandon expectations of being hand-held on the path of learning, you will survive – as thirty other batches of A-level students at Raffles have done since 1982.
wow Sai. WSDC DEBATER. on a side note, nice article Jun Yan!